Professional South African golfer Louis Oosthuizen has won many big titles in his time and is a fine ambassador for the sport. A gifted player who is also a great guest speaker and role model for anyone involved in golf, Louis can talk with insight and great wit about his life in the world of professional golf. Louis was a fine amateur who won three different titles then turned pro in 2002 aged just 19. Since then he has won honours such as the the Sunshine Tour: the 2004 Vodacom Origins of Golf Tour at Arabella, the Telkom PGA Championship twice, in 2007 and 2008, and the 2007 Dimension Data Pro-Am and Platinum Classic. His biggest win to date came at the Open Championship of 2010 when he won in style, while he has also been runner up at three other majors including the 2015 US Open, 2015 Open Championship and the 2012 Masters Tournament, only losing out in a final sudden death play off. 2012 was in fact his bets and most consistent year with ten top ten placings and a third place in the Race to Dubai as well as seventh in the FedExCup. His highest world ranking to date was fifth in 2012 and his lowest ever round was just 57 strokes at Mossel bay Golf Club in 2002. 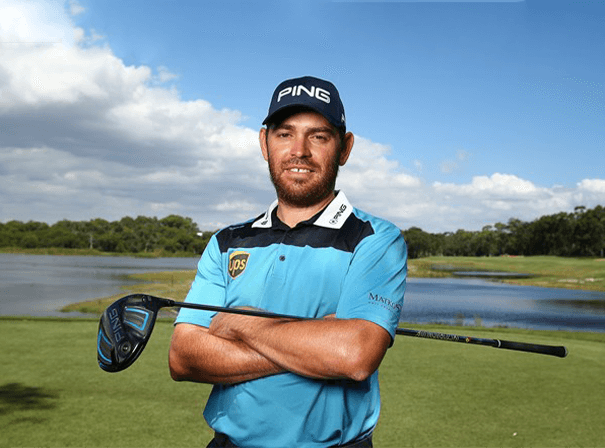 Currently 12th in the world rankings, Louis Oosthuizen is a great star in the wold of golf who adds real value and excitement to any event at which he appears.